Easter sling ammo exchange ??? nice clip I forget that it's summer over there. 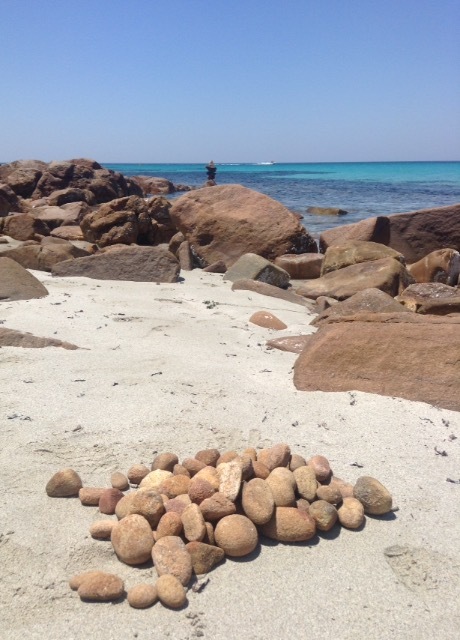 Just a pile of rocks I stacked on the reef , I couldn't step it out (being water) but I would say it was around 10-12 m at a guess , but maybe out to 15m-16m. Just a little bit of fun on q nice summers day , this beach is a slingers paradise. Basically best hit on a egg , one singular submission per member, can be a chocolate or chicken egg, boiled, free range or caged. Only members who enter the challenge can vote , most votes wins . At this stage no prize but given enough people are keen we may be able to conjure something up. Let me know your thoughts and let's try keep the fun going!!! Sounds like fun. Don't know if I'll be able to hit an egg. But I'll definitely give it a try! A 4th person will make voting not a tie , let's say, You can't vote for yourself , 1 clip , any angle (that's up to your creative mind) any ammo any egg (again up to your imagination) . Let's say submit clip by 1st of May ?? So looks like just the 3 of us , let's just say there are no losers only winners , wish you all well in the easter egg challenge !!! I've been having really nice weather for slinging. I was out last weekend and had some real close throws. No direct egg hit yet though. I've been making ice balls all week so I can have another go at it tomorrow. I've been struggling with finding time , I'm hoping the next 2 weeks I can dedicate a solid few hours to getting my egg clip.